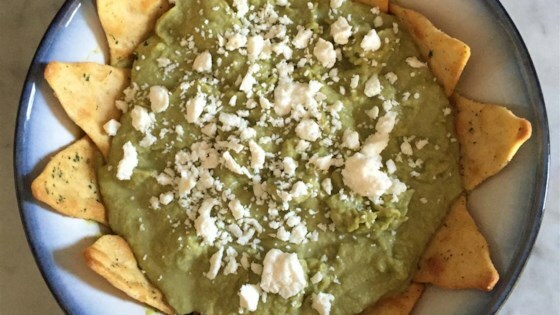 "Low-cal guacamole alternative that's super tasty. Great as a veggie or chip dip." Place a steamer insert into a saucepan and fill with water to just below the bottom of the steamer. Bring water to a boil. Add broccoli, cover, and steam until very tender, 5 to 10 minutes. Blend broccoli, sour cream, onion, lemon juice, chili powder, salt, and garlic in a food processor or blender until very smooth. Refrigerate until completely chilled, 2 to 3 hours. Get the holidays going with a hot and bubbly party dip. very nice - I might go a little spicier next time. Several people complimented me on it and I told them to come here for the recipe. This is one of the most delicious things I have ever made myself. I can't wait to make this for my family this holiday season.